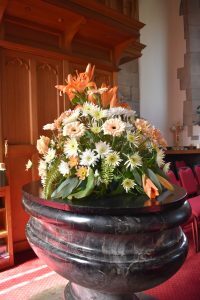 A group from the congregation provides and maintains flowers regularly in church. 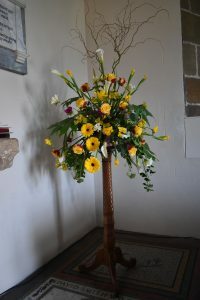 Flowers are renewed fortnightly, and this can be assisted by wedding couples, who usually provide major contributions to the displays for the Sunday following their wedding. 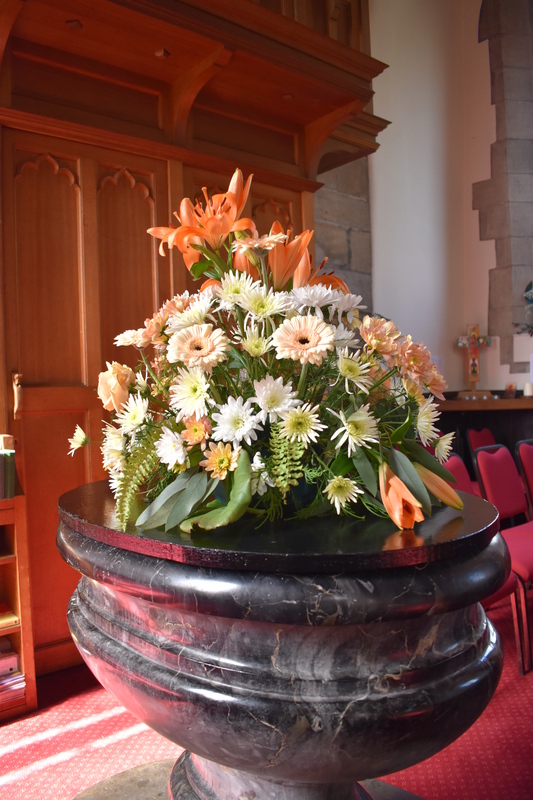 From time to time, we will get together to discuss plans for future displays – particular for major seasons, Christmas, Easter, Harvest and other major church festivals. Here are some of the arrangements in church last Easter. 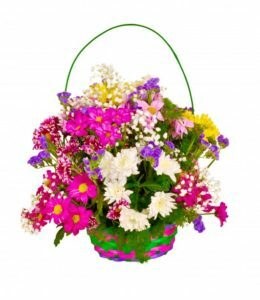 We also help brighten the churchyard with flowers to enable the church to enter the “Harrogate in Bloom” competition. More help is always welcome.